It has been over a year since I have posted to this blog, but that doesn't mean I haven't been thinking about my genealogy or even doing the odd bit of research when I could. After two years out of work I found a part-time job in December 2011. Ten months later I was promoted and while it was absolutely a blessing, my new position leaves me with little time or energy for research, blog-hopping or post writing. Last week I was finally able to take vacation and spend two days on a family history trip to Basking Ridge, NJ and Pittston and West Pittston, PA. It was a fun and educational trip and I had much more success than I had any right to expect considering my lack of preparation. The success of my trip was due in large part to Ron Faraday, President of the Greater Pittston Historical Society. 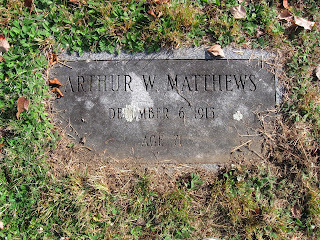 Without Ron, I never would have been able to locate the Matthews plot at Pittston Cemetery and the graves of my great-grandparents, Arthur William and Ada Hobbs Matthews. I had read in a few places online that Pittston Cemetery had fallen into horrible disrepair and it also seemed that no one was managing the property at all. I really wanted to find the plot and since I wanted to visit Pittston anyway and the old family home was only a couple of blocks away, I was willing to search for it. 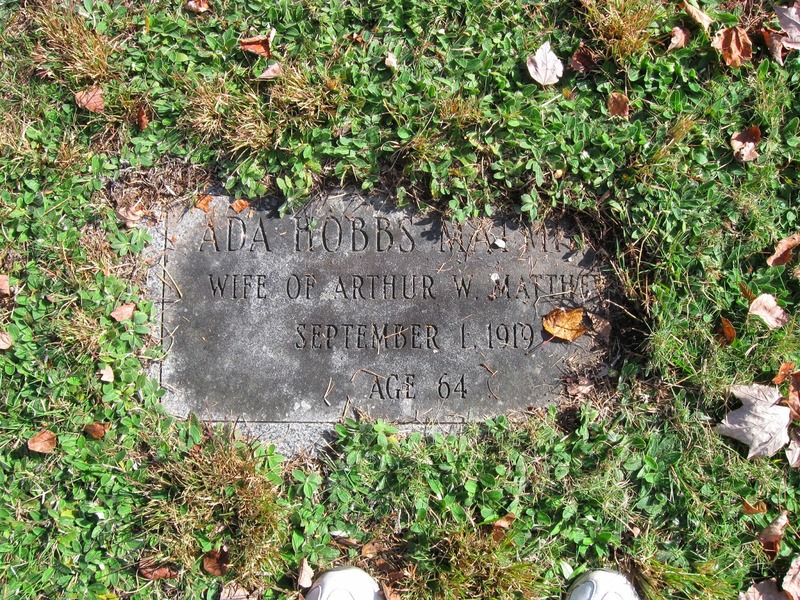 I pictured us with plenty of water and bug spray, wearing old sneakers, long sleeves and our socks pulled over our jeans to protect from bigger critters, searching for hours but ultimately emerging victorious with photos of the headstones of the five family members buried in the plot...I had no idea. About a month before our trip I stumbled on the website and Facebook page of the Greater Pittston Historical Society and discovered that they were in the middle of two weekends of a massive cleanup of Pittston Cemetery. Before and after photos tell you just what an incredible undertaking it was and what a wonderful job they all did. I found an email address on the Facebook page and wrote to the society to thank them and all the volunteers for their hard work and ask about burial records. My reply came from Ron Faraday, the president of the society, with a telephone number for himself and one for the caretaker. A couple of emails later and he had had the caretaker show him the plot and then he met me at the cemetery on a weekday afternoon to show me the graves. Pittston Cemetery is huge, folks, absolutely huge. I would never have found the family plot on my own. 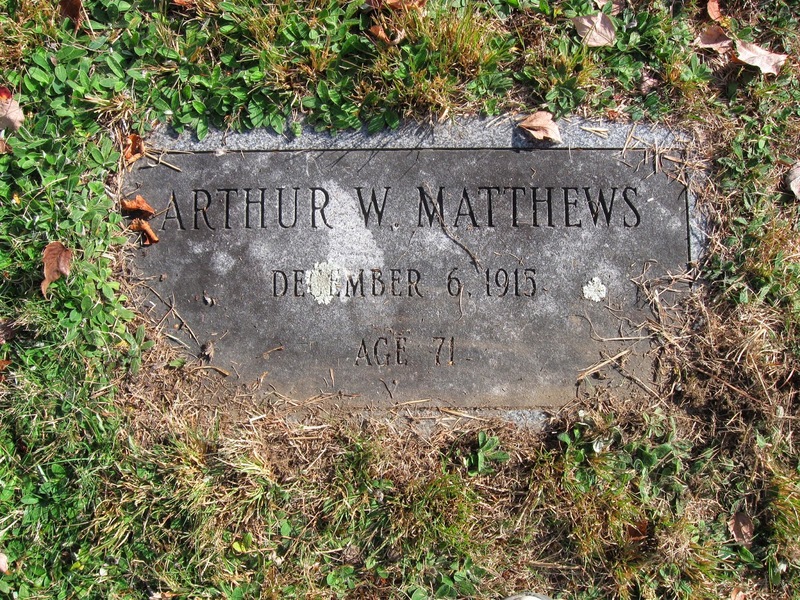 If we had decided to start at the entrance and work our way forward, even between three of us, we never would have had time to get to the Matthews plot. 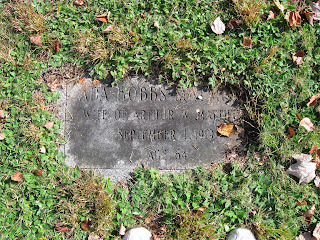 Ron also put us on to the Northeast Pennsylvania Genealogical Society which it just so happens is open on Thursdays (the second day of our trip), where I was able to find some fun information on my great-grandfather. So, this is my shout out to Ron Faraday and the Greater Pittston Historical Society. If you are fortunate enough to be in need of their assistance in your search, I can tell you they will do anything they can to help you. Hopefully this will be one of many posts about our trip and I will be back soon.